IPL 2018 DD vs RCB live streaming will be made available by the official partners. Star Sports is the official broadcaster for this edition. You can watch live cricket match today online on Hotstar, Jio, and AirTel too. Delhi Daredevils vs Kolkata Knight Riders is the 45th of total 60 games to be played in IPL season 11. The annual cricket extravaganza, Indian Premier League has started its second decade from this year. 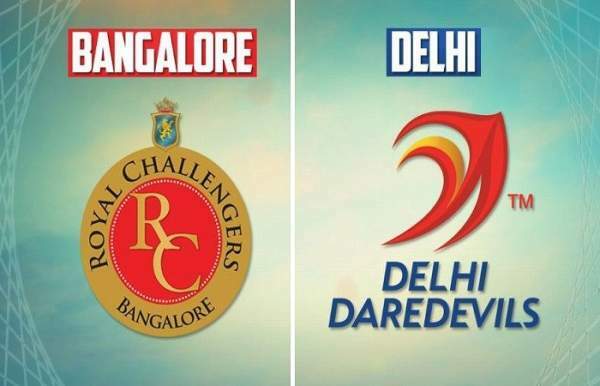 Today’s match between Delhi vs Bangaloare will start at 8 pm IST with a gap of 30 minutes after the toss. The toss is scheduled to take place at 7:30 pm. The time gap is set to get the match going on the ground. Here’s how you can watch IPL this year on both television and website/apps? If you have luxury to the television and feel comfortable with English commentary, then you go for Star Sports 1 / HD and Star Sports Select 1 / HD tv channels. If you want to listen to Hindi commentary, then you can switch to Star Sports 1 Hindi / HD. On the other hand, if you are on the move or can’t watch the cricket on TV, then you can opt for IPL free online live streaming options. It will be streamed live on Hotstar.com, Hotstar app, Jio TV app and AirTel TV app. As of yesterday, the IPL points table 2018 states the following scenario. Daredevils is ranked last, i.e., 8th on the standings table with six points in 11 matches – winning three and losing 8 matches, played so far in this edition. While, Royal Challengers is no better and stands seventh in the table with six points in 10 matches – winning three and losing seven games so far. Both the teams are in lower half and their fate seems unclear for the IPL 2018 playoffs. It’s because only a handful of pool matches are left to be played. Today’s match is scheduled to be played at the Ferzo Shah Kotla and is a home game for Delhi. So, it will have a higher pressure today. The hope of the both the sides for IPL playoffs looks doomed and are already considered to be placed in the elimination bin.